Cardio Debate > Cardio Notes > Social > Can the Internet help improve exercise adherence in heart failure patients? Heart failure has notoriously high re-hospitalisation rates, with nearly a quarter of all patients being readmitted within 30 days of an event. Exercise has been shown to reduce these rates of re-admission, however patient adherence remains problematic. 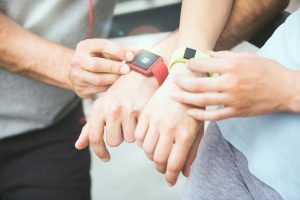 Furthermore, research into improving patient adherence have focused on the physiological impact of exercise, rather than patient adherence itself. The adherence to the weekly internet-based peer-group meetings was 68%, with 73.3% attending at least five of the eight sessions. However, there was little difference in terms of exercise adherence between the experimental and comparison groups (58.8% vs 57.3%, respectively). However it was noted that the size of the group meant that no significant impact on exercise adherence was observed. Therefore, the study authors conclude that the long-term impact of Internet-based peer group discussions and education sessions on adherence should be investigated. Deka P, Pozehl B, Williams MA, et al., MOVE-HF: An internet-based pilot study to improve adherence to exercise in patients with heart failure. Eur J Cardiovasc Nurs. 2018 Aug 21:1474515118796613.